Here you’ll find your favorite online slot games, and maybe some you haven’t played before. Online slot games have a lot to offer players in terms of jackpots and big bonuses, with lots of free spins too. The trouble is that there are hundreds of different games to play, on hundreds of different sites. Finding the best games and offers yourself can be very tricky. At WhichBingo we have compiled a list of the best known games according to what promotions are on offer, the graphics and gameplay, and the money to be won. We update this list regularly, so remember to come back again, and check out our list to find your new favourite slots game. Irish Luck is one of the original and best games from the Eyecon stable. 25 paylines and two lucrative bonus games and the opportunity for lots of free spins – what more could you want from a slot game? As you would expect from an Irish themed game there are leprechauns and shamrocks, fairies, rainbows and overflowing pints of beer. The shamrock is wild and substitutes for all symbols except the fairy and leprechaun scatters and three or more of these wild symbols delivers free spins too. If you’re looking for an exciting casino destination where you can play all the biggest slot games, including IrishLuck, we suggest Slot Games. New players at Slot Games will be given the opportunity to spin the Mega Reel upon a first deposit of at least £10. Spinning this wheel can be highly lucrative with up to 500 slot spins up for grabs as the top prize, amongst other great prizes. If you do decide to take Slot Games for a spin (pun intended) we think you’ll really enjoy the trophy based loyalty system which offers exciting rewards when you reach certain milestones on your slots adventure. New players only, 18+. Min deposit £10. £8 max win per 10 spins. Max bonus conversion £250. 65x wagering requirements and full T&Cs apply. This is the original and one of the best from Eyecon. 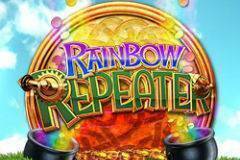 This slot games has been around a long time, but it is still a firm favourite with players on any site. The theme is an old-fashioned fairground and in particular the stuffed animals you can win on many of the stalls. In addition there is a crane grabber feature and the fluffy pink elephants are wild and deliver free spins if you get three or more in view. Other characters to look out for are the goldfish, giraffe, turtle, rhino, duck, and lion. This is a 25 payline game and you can play from just 1p per payline. It’s bright colourful and easy to play, what more could you want? Spin the Mega Wheel to see what your welcome offer will be. New players only, 18+. Min deposit £10. £8 max win per 10 spins. Max bonus conversion £250. Win not guaranteed on the Mega Wheel. 65x wagering requirements and full T&Cs apply. Age of the Gods God of Storms is a 5 reels and 25 pay-lines slot based on the popular Age of the Gods slots collection from Playtech. Get blown away by the windfalls on offer in this thunderous 25 line slot. The God of Storms blows stacked Ship Wilds across the reels triggering up to 4 respins with a rising win multiplier that can reach 5X. Any spin can win 1 of 4 gigantic Age of the Gods jackpots. Take a chance with the winds of fate today – try your luck with the God of Storms. Sun Bingo offers much more than just bingo these days, it is equally well known for its excellent selection of slots and games. Most of the games are from the Playtech stable, as is the case with the Age of the Gods series, but there are also partnerships with other top developers such as BigTime Gaming and SG Games. *New customers only. 18+. Registration required. Players must deposit and spend £10 cash on bingo. Min £10 deposit. £30 bonus includes £10 Side Games bonus which must be wagered x30 before withdrawal and £20 bingo bonus which must be wagered x3 before withdrawal. Side Games Bonuses can only be spent in the Side Games section of the Slots Page or the Top Slots section in the bingo lobby. 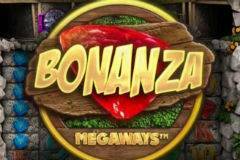 Free Spins must be used on Maji Wilds, Dragon Champions, Jackpot Giant, Tinderbox Treasures, Buffalo Blitz, Age of the Gods, Furious Four, Batman & Riddler Riches, Heart of the Frontier, Gladiator - Road To Rome and all winnings must be wagered 30x before bonus converts to cash. Bonus expires 7 days after receipt if not used entirely. Promotion ends 23:59 on 14/05/2019. Full T&Cs apply. BeGambleAware.org. Please play responsibly. This must be one of the simplest slot games ever invented with 5 reels and just 10 paylines, but it remains a player favourite and you will often find it featuring in the welcome offers of all the top slots sites. Starburst from NetEnt is a ‘pays both ways’ slot game and the only feature is the expanding Starburst wild that can appear on reels 2,3 and 4. When this appears it expands t fill the three rows of the column it appears in, it is wild and it also creates a respin for the possibility of an additional win. 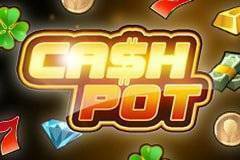 Pots of Luck sits on the Nektan platform and has turned out to be an extremely popular destination for slot lovers. Of course you will find top slots like Starburst, but there are hundreds more to choose from too. Play on desktop, laptop or mobile and enjoy the same excellent gameplay wherever you may be. Don’t forget to check out all the great offers around the site too. While many people associate slots with the fruit machine sitting at the corner of the pub, online slots is a whole different animal! Thanks to computer technology, game designers can let their imagination run wild, and they come up with new games with different themes much faster. Online slots are beautifully animated that can sometimes upon up additional game screens that go far beyond spinning reels into a cinematic experience. Many come with extra bonus features with more cash prizes to be won. On this page, we will explain everything you need to know about online slots, from the various types of games, the most famous game makers, plus the best places to play them at! Three reel classic slots: These games have just 3 reels. The reels are the columns where the symbols go down the game. You win when you get 3 matching symbols crowing across the middle of all 3 reels. These are also known as fruit machines, because back in the days, the most popular symbols in these games were cherries, lemon and prune, along with the 7 and Bar symbols. Five reel slots: Most online slots have 5 reels. This allows for greater variety in game play, with more paylines possible, in contrast to the singular payline in the classic slot. The majority of five reel slots are also video slots, with bonus game sequences that can be activated when you spin Scatter symbols. Slots with progressive jackpots: These jackpot games pay out much higher than regular online slots, because they are networked together and each time someone plays, it contributes to the common jackpot, which can be won by just one person at any time. Payouts are often literally in the millions, while the smaller ones can easily add £10k to your bank account. Slots with 243 ways to win: Online slots have a lot more winning combinations possible, zigzagging across the rows and reels. Sometimes it’s hard to keep track. So game designers calculated what’s the maximum number of paylines possible, and maths revealed it’s 243. With 243 ways to win games, it’s much simpler: as long as your symbols are touching across the reels, you win. In exchange for this absolute set up, 243 ways to win slots tend to have a higher minimum bet than other games. 3D slots: This used to be a really big deal, when game designers started to draw amazing slots in 3D to develop a richer gaming experience. As computers got more powerful, animation has really taken off in the last decade or so and now this is something you can expect from most slot games. It’s just like playing the new Nintendo or Xbox games. Can you play Slots on Mobile? The answer is Yes! Most of the most popular slots have been adapted for playing on smartphones and tablets. Some designers have even taken it a step further to take advantage of the swipe on tap features of the touchscreen on mobile devices to make the gaming experience more immersive. Even though the screen is smaller, the animation is fast, crisp, clear and smooth. Just make sure your internet connection is fast – it’s usually more reliable to play on a Wifi connection than on your mobile data. NetEnt: Formerly Net Entertainment, NetEnt is a Swedish company that’s most famous for quirky and cute graphics and high production qualities. They are also famous for progressive jackpots, Mega Fortune having once held the world record for biggest jackpot payout ever. Microgaming: A giant in the gaming industry, Microgaming is known for developing a wide range of games to suit a variety of gaming styles. The company also develops a lot of games for Blackjack, Roulette and other casino favourites. Playtech: Among slot players, Playtech has a bit of a reputation for high variance slots, which means slots that don’t payout often, but when they do, prizes tend to be bigger. Playtech is also quite prolific when it comes to progressive jackpots and always have new jackpot series rolling out. Quickspin: Quickspin, although not in the top three of software providers, is a well-established and popular for its slots. Their video slots are always pushing the boundaries with great animations and innovative game play. NYX: NYX is also a well-loved provider for video slots. They roll out new games all the time in a mish mash of styles. They also make great instant games like Keno and Scratch cards. What are Casino slot paylines? A payline is where you need to line up your matching symbols to win. In the classic slot, this is the line across the middle of all 3 reels. In video slots, paylines vary wildly and can go up and down the reels, but in general you will win if you have 3 matching symbols on a payline. Video slots will show their paylines in the Paytable or Info section of the game. Video slots usually have multiple paylines – 10 or 15 paylines are popular, but they do go up to 25 or even 50. Some games will let you choose how many lines you want to bet on. Others have all the paylines active and you will be bet on them all the time. What special features and symbols are there in slots? Wilds: A Wild symbol can substitute any other symbol to form a winning payline. So if you have 2 matching symbols plus 1 Wild, then that Wild can become the 3rd matching symbol to deliver a win. However, it usually cannot substitute a Scatter symbol. Scatters: Scatter symbols unlock bonus features. Usually, but not always, you will have to spin more than one to activate the features. Bonus features: Bonus features come in all sorts of different forms. Sometimes you will be awarded a round of free spins. Sometimes you’ll break away from the reels into pick me games where you will uncover more prizes that can include cash prizes and multipliers. Multipliers: These have the potential to deliver serious wins. It’s exactly what the name suggests. They multiply your win. For example, a 2x multiplier will double your win. It’s not unheard of to get multipliers in the hundred fold! Is gambling on a slot machine random? Yes, slot machines (at least the ones from trusted developers) operate randomly. That means with each spin, the chance of winning is the same. However, there is this thing called the Return to Players Rate (RTP) that is programmed into the game. This is how often the slot pays out over time. A higher RTP rate means that the game plays out more frequently than a lower one. Slots above 95% are considered to have a high RTP. Loose slots are games that are known for their frequent payout. These are also called low volatility slots. The payouts are rarely big, but you’ll see them often and they will keep your morale – and bankroll – up. Perhaps the most popular loose slot is Starburst from NetEnt. Are there any slot strategies? Generally speaking, due to the fact that slots payout randomly and rely on luck, there aren’t really slot strategies, at least not in the scientific sense of the word. However, we do have some great tips to enhance your general gaming experience! Go for a slot with a higher RTP: Although payouts are smaller, games with a higher RTP will let you win more frequently. This is important especially for beginner players to feel the excitement of winning is well within reach. Plus the wins will help to keep your bankroll floating. Always read the pay table: The paytable will show which symbols are the most valuable, and how much they can pay. It will also show you what bonus features are available and describe how to play them. For large wins, play volatile games: While some of us are happy with modest but frequent wins, it has to be said there is a special thrill to winning big. If that’s what you’re looking for, then check out “high variance” or “volatile” games. Some patience might be required before you start raking in the cash. Bet on all paylines: Betting on all the paylines in the game will increase your chance of a win. If you are only betting on 1 payline in a 20 payline slot, you are missing out on the 19 other ways you could win, or trigger a bonus game. It will cost you a bit more to bet on all lines, but you can usually balance your budget by setting a smaller coin size instead. Try games with smaller jackpots: If you’d like a more realistic chance at winning a progressive jackpot, try one of the smaller jackpot games. Large jackpot games are highly competitive, and the odds aren’t high. If you would actually like to win, a progressive game with a smaller jackpot won’t have so many players, which means less competition for you. Know when to stop: Finally, it’s not fun when you end up losing more than you can afford. Set a budget from the beginning, and once you reach it, stop. You don’t want this to affect your daily life. Most online casinos will let you set a loss limit which will bar you from further play when you’ve reached your preset limit. With games coming in all sorts of different themes and with different features and bonus games, online slots is a whole new universe to discover. Hopefully with our experts’ detailed guide to online slots, you should now feel more than knowledgeable and comfortable about these games. Most slot sites and online casinos will let you play these games for free in demo mode, so you can get a taste of how things work before playing to win real money. Give things a spin for yourself at one of the trusted slot sites listed here!